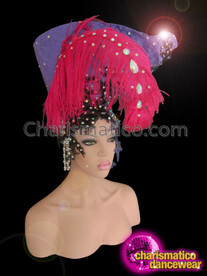 A very dramatic head dress made out of Purple soft fringes like feathers. 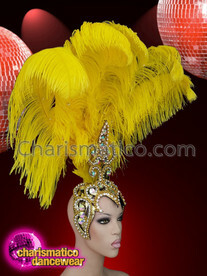 The head crown is designed in gold and has a very unique shape which gives it a very different and stunning look. 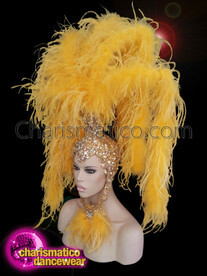 If you want to be the star of the show and shine, then this accessory is for you. 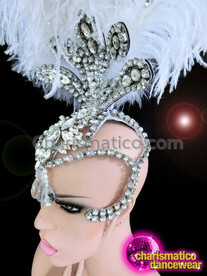 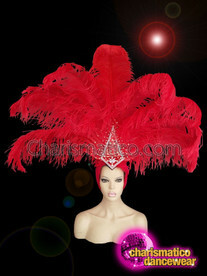 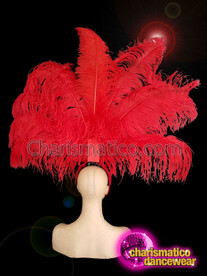 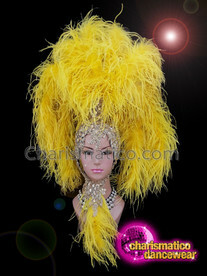 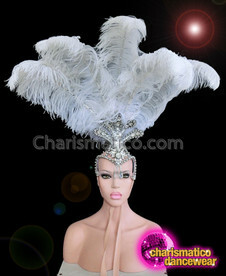 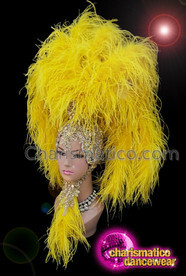 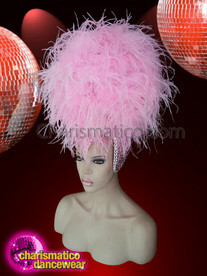 Bask in the sunshine with this headdress that is made out of ostrich feather and shimmering sequins.